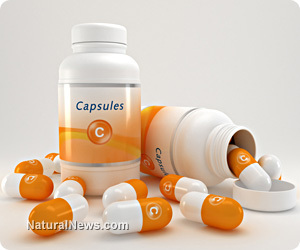 (NaturalNews) Liposomal vitamin C is a lipid encapsulation of ascorbic acid granules that delivers more vitamin C to cells orally than even mega-dose intravenous (IV) vitamin C. At first, vitamin C expert Dr. Thomas Levy found this hard to believe, even as clinical results were being achieved. Then he analyzed liposomal C to discover that, although IV C delivers more vitamin C into the bloodstream than orally ingesting vitamin C, not all of it permeated tissue cells. It's estimated that maybe 20% of IV vitamin C volume gets into cells, while 90% of liposomal C permeates tissue on a cellular level. Vitamin C is water soluble, and cell walls are fatty. Liposomal C is a lipid (fatty substance) encapsulated on a molecular level. This enables higher oral doses vitamin C to permeate cells while not overwhelming bowel thresholds. Some of you may be familiar with the story of New Zealand dairy farmer Alan Smith, who recovered rapidly from a coma induced by flu complicated double pneumonia and leukemia. Many online accounts make it seem as though only IV C led to his recovery. But following several legal attempts from Alan's family to continue administering 50 to 100 grams of IV C after showing positive results when they were ready to pull the plug on his life support, the hospital cynically conceded to continue with only two grams IV C daily. That's when his family members found out about a newly produced liposomal C, which they brought to Alan daily. Each packet contained one gram of encapsulated vitamin C. Alan consumed six daily and achieved the miraculous results he had experienced with the 50 to 100 grams daily of IV C.
He walked out of the hospital in days on his own power. A year later, he was examined and there was no trace of leukemia either. Here's a New Zealand 60 Minutes video clip that covers his story well: youtube.com. At the Fukushima hot spot, a team of orthomolecular (mega-dose supplement medicine) scientists administered 25 grams of IV C before working and six grams daily of liposomal C to one group of site clean-up workers while giving none to another group. The vitamin C crew came back with no signs of radioactive poisoning, while the crew without vitamin C showed high toxicity levels. The radiation poisoned group was then given the same IV and liposomal C treatments as the first group, and they all recovered. Lypo-Spheric liposomal vitamin C is manufactured by Livon Labs. They sell it for around $40.00 U.S. for a box of 30 one gram gel packets. But you may be able to take advantage of Natural News TV reporter Jonathan Landsman's promotional sale by calling 866-790-2107 and using the promo code "365 NEWS." Practitioners who administer mega-dose IV vitamin C are not easy to find, and there's probably no insurance coverage. But if you can afford the treatments, orthomolecular.org provides a directory of practitioners who deliver mega-dose IV C.
LET has expanded to encapsulating glutathione and curcumin extracted from turmeric, both of which have problems getting through the gastrointestinal tract wholly intact and into tissue cells. A recent preclinical study demonstrated liposomal encapsulated curcumin's ability to kill pancreatic cancer cells much better than any pharmaceutical cancer drug. This and liposomal vitamin C open a new go-it-alone cancer treatment potential to be incorporated with ample detoxing and the "cancer diet."